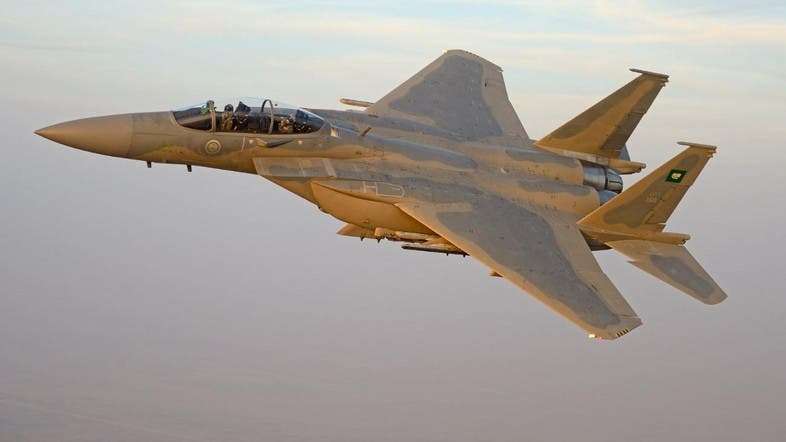 The skies of Saudi Arabia will soon witness the new addition to its navy’s arsenal: The F15 – SA jets that will be known as the “Eagle Fighters”. The jets are expected to be launched at a ceremony next Wednesday which will be attended by Saudi King Salman bin Abdulaziz at King Faisal Air Force academy celebrating the 50th anniversary of its founding. The Eagle Fighters will join a growing Saudi Royal Air Force fleet after a deal was penned with the United States in 2012 for the purchase of 84 units. The F-15s are one of the newest aircrafts models in the world and incorporate very advanced devices in warfare technology. The aircrafts will operate with digital technology and the plane can be loaded with both conventional and modern arsenals. Saudi Deputy Crown Prince and Defense Minister Prince Mohammed bin Salman bin Abdulaziz stressed Saudi Arabia’s will to strengthen its military and defense capabilities through the modernization of its armed forces, led by the Royal Saudi Air Force, and its desire to own the latest aircraft technology in the world. “The Kingdom is keen to acquire this kind of modern aircraft, to protect their lands and the holy sites, its national interests, its economic capabilities and development, and the maintenance of security and stability to ensure peace in the region,” Prince Mohammed bin Salman has said. 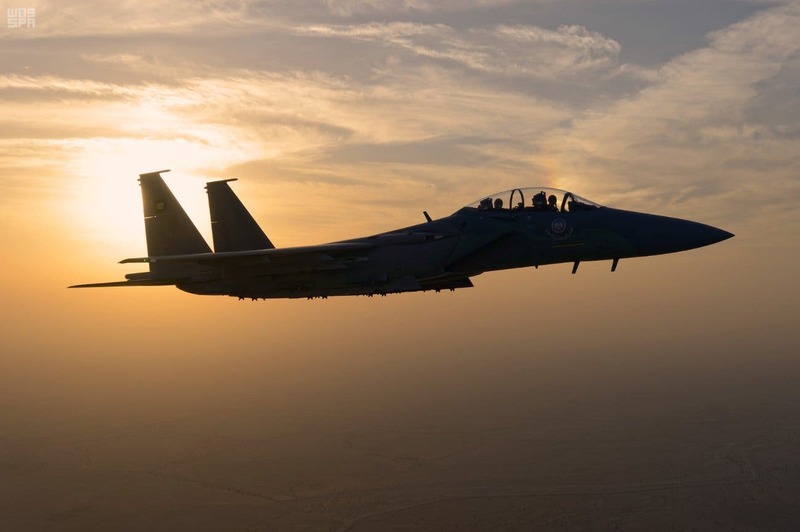 According to Boeing, the fighter jets are an updated and more improved model for F-15 fighter jets proven worthy in several past combat battles. Several combat and technological capabilities have been added to the aircraft to boost its proficiency with higher potential than its predecessors. - The ASM-135 missile, which is an anti-satellite missile, the aircraft could launch it from a height of 11.6 km and an inclination angle of 65 degrees at the speed of 1.2 Mag. - The Aim 120 C7 AMRAAM missile, which is a long-term American made missile. - Rocket Aim 9X Sidewinder, which is a short-term US missile. - AGM-rocket 84 Block II HARPOON, an American anti-ship missile. 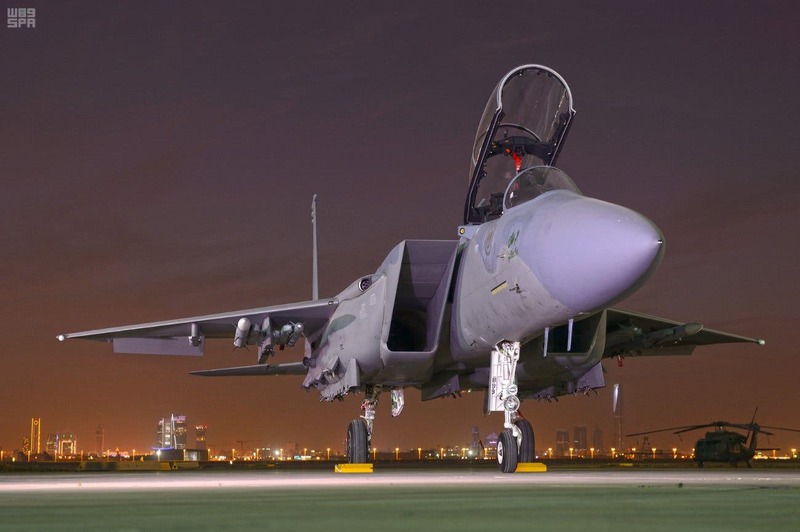 The F-15SA is a very capable machine with sophisticated features including a full fly-by-wire flight control system, APG-63V3 Active Electronically Scanned Array (AESA) radar, digital electronic warfare and radar warning suite. Unlike many fighters, the F-15SA has a missile launch detection system, and an infrared search and track system. The F-15SA also features F-110- GE-129 engines, capable of putting out almost 30,000 pounds of thrust. The fighter is able to double the missile carrying capability of the F-15C or F-15E, and is able to carry weapons for long-range stand-offs and deep-strike, the suppression of enemy air defenses (SEAD), counter-air, direct precision attack and standoff precision attack on the jet at the same time. Its Infrared Search and Track system combined with its radar’s low probability of intercept modes, advanced radar warning receiver and Link 16 data-link, allows the F-15SA to hunt for enemy aircrafts in electromagnetic silence while still maintain high-situational awareness. Saudi Arabia ranks 4th in terms of defense spending and considered a strategic ally to the US government. Since early seventies, a major cooperative project has taken place between the Kingdom and USA on a wide range of joint projects including developing capacity of the Saudi air forces, training, maintenance, supplying, and supporting facilities. Today, the Royal Saudi Air forces is considered, with a few in the region, among the most sophisticated armed air forces functioning for military operations, assistance and rescue operations.